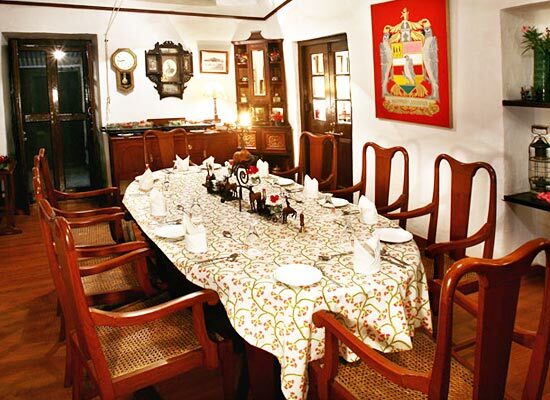 "One of the best heritage hotels in Mount Abut, WelcomHeritage Connaught House is located on the Rajendra Marg. It is a mesmerizing English country cottage, which is placed amid shady lush gardens. 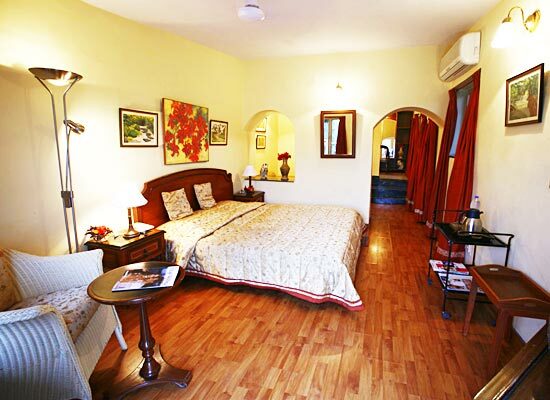 The property is placed on a walking distance from the popular Nakki Lake, and the Mount Abu town. 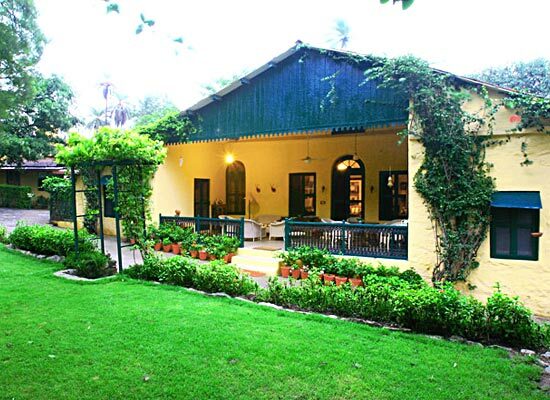 It was the official summer home of the Chief Minister of the princely state of Marwar. The house is compact, clean and enjoys peaceful surroundings. The rooms are spacious, well-lit and comes with all modern comforts. Food for the guests is prepared with utmost care. Connaught House was formerly used as the summer capital of Sir Doland Field, erstwhile Chief Minister of Marwar, and the former princely state. It was later converted in to a heritage hotel; Connaught House enjoys a favorable weather and has a splendid architecture. With a walking distance from Mount Abu, this place is a favorite among tourists. 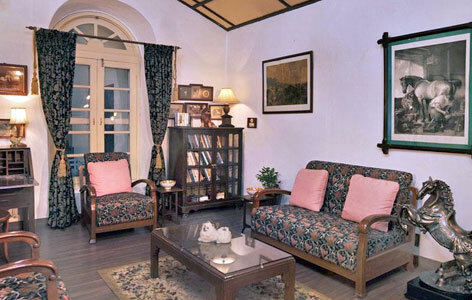 Connaught House has 10 comfortable, air-conditioned and spacious Cottage rooms. The rooms offer a soothing sight from balcony with considerable air circulation, an ideal peaceful retreat. It is a dream destination for travelers. Hot and cold running water, intercom, television with satellite connection, tea / coffee maker, attached bathrooms, wooden wardrobe, sofa or chair with center table, comfortable beds and refrigerator are few of the facilities offered by this Heritage Hotel in Mount Abu. 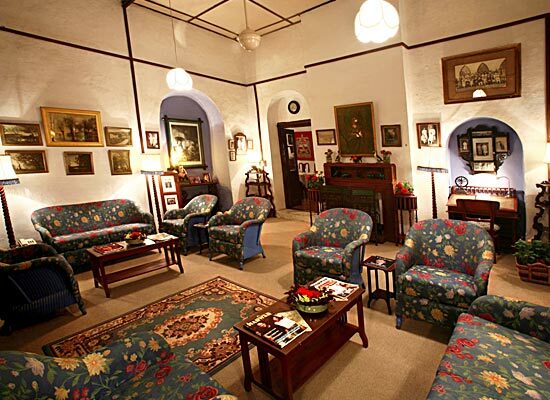 The rooms are segregated between the old cottage and the new wing that was erected by the present Maharaja of Jodhpur. The views are simply mesmerizing. Beautiful paintings and portraits adorn the walls. There are multiple dining options at this heritage house, comprising of Cottage Dinning Hall and Upper wing Dinning Hall. Special arrangements for meals can also be done at the hotel’s gardens. Guests can savor lip-smacking delicacies of Indian and popular World cuisines, prepared by trained chefs using freshest and choicest of ingredients. Mount Abu is known for its many sages, and Jain temples. Mount Abu offers a different view from the original Rajasthan landscape, with endless stretches of sand. There are also different types of temples atop this hill station. It is worth visiting this place.